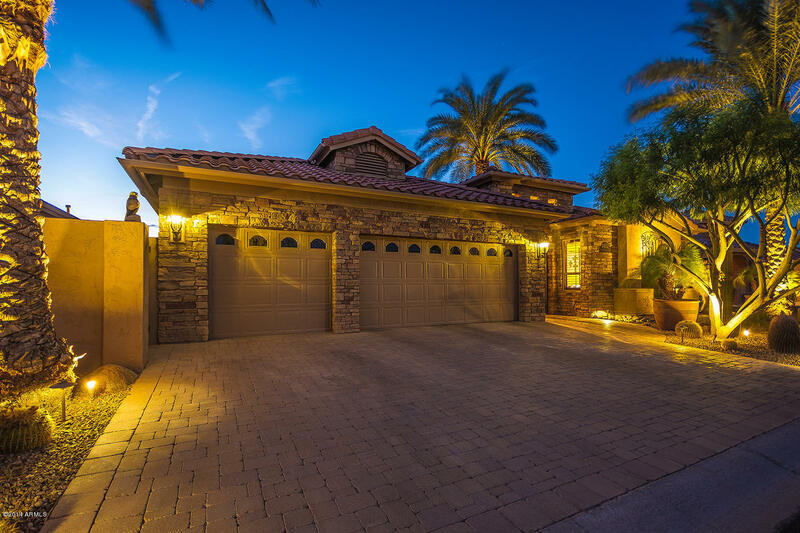 Luxury homes in Sun Lakes Arizona are normally found in newest community of Oakwood Country Club. IronOaks is the HOA that governs the communities of Ironwood and Oakwood 4,019 homes. Luxury homes are normally located on a premium golf course lot and sometimes with waterfront as well. Sun Lakes is an active adult age restricted community commonly known as “55+”. While kids are welcome to visit, CC&R’s restrict anyone under the age of 19 living permanently in the home. This protected age restricted class allows some flexibility in many cases. For example, in Sun Lakes Oakwood Country Club 20% of the total number of homes may have a resident who is 40+. With the growing number of people moving into active adult communities that creates a way to move in ahead of retirement and enjoy the resort amenities while finishing out the career. Sun Lakes Oakwood homes range in size from 1,500 to over 3,000 square feet with lot choices including golf, waterfront, private and walking path views. Resort style amenities to match the luxury homes for sale include 45 holes of golf, 14 tennis courts, swimming pools, fitness center, walking paths, lakes, card clubs, hiking and biking clubs and many opportunities for social engagement.